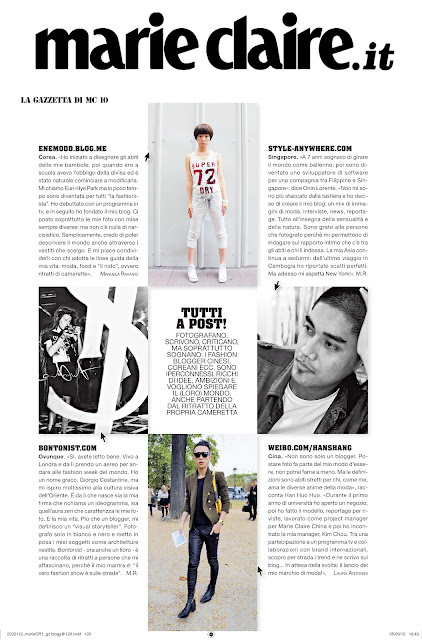 enemood: Marie Claire- Asian Fashion Blogger enemood Interview. Marie Claire- Asian Fashion Blogger enemood Interview. 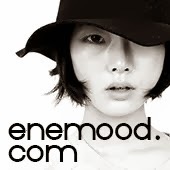 - Asian Fashion Blogger enemood Interview. step 1: Even when I was a young girl, I loved to make clothes for my dolls and dress them. (current):I am a woman who loves and adores fashion. It is what completes me. step 4:A happy life connecting with others that love my fashion/style. step 5:I want to remembered as someone who lived a life dedicated to fashion. To me, this questions is like asking, "Why do you wear clothes? " Nobody dresses for blogging. I blog because I dress everyday. People say that three necessities in life are clothes food and shelter. To me, it comes in the order of fashion, food, then shelter. If people wear "clothes" to protect themselves, I wear "fashion" to express myself. Why did you decide to street blog? There is no specific reason or plan behind starting my blog. I just wanted to keep a record of myself and that place happened to be my blog. I would like to make myself known globally. I would like to spread the fashion of Korea and connect with the rest of the world.